BANGKOK — Asian shares were flat Friday in mixed trading ahead of the U.S. jobs report later in the day. There appeared to be scant carry-over Friday from overnight gains on Wall Street as Apple reached $1 trillion in value. 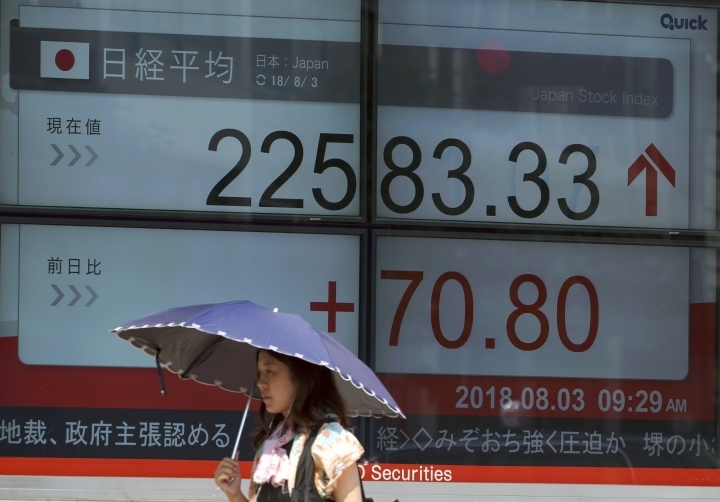 KEEPING SCORE: Japan's Nikkei 225 was flat at 22,510.38 and the Shanghai Composite index added 0.1 percent to 2,770.14. Hong Kong's Hang Seng index shed less than 0.1 percent to 27,705.68 and Australia's S&P ASX 200 was down just 1.30 points at 6,239.60. 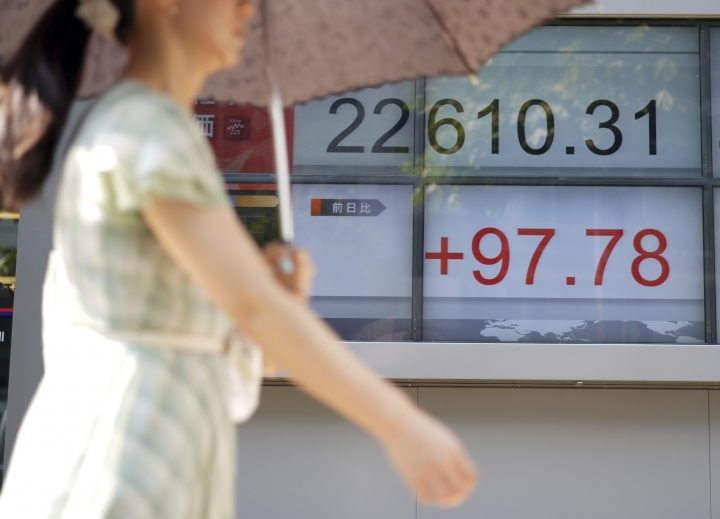 South Korea's Kospi added 0.6 percent to 2,283.01. 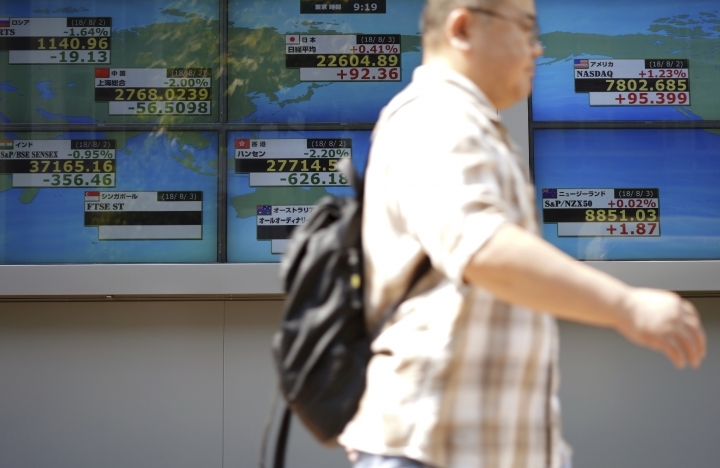 Shares rose in Taiwan, Indonesia and Thailand but fell in Singapore. WALL STREET: U.S. stocks climbed Thursday as Apple's surge past the $1 trillion mark boosted technology shares. Apple jumped 2.9 percent to finish at $207.39. Electric vehicle maker Tesla soared 16.2 percent to $349.54 after it said production of its lower-cost Model 3 sedan is growing and CEO Elon Musk said the company doesn't expect to need to raise more money from investors. Consumer products and health care companies rose as second-quarter results from corporate America continued to surpass investors' expectations. The S&P 500 index rose 0.5 percent to 2,827.22. The Dow Jones Industrial Average slipped 7.66 points to 25,326.16. The Nasdaq composite jumped 1.2 percent to 7,802.69 and the Russell 2000 index of smaller-company stocks added 0.8 percent, to 1,682.10. US JOBS: Optimistic employers likely stepped up hiring in July thanks to strong growth and consumer spending. Economists forecast that a report to be released later Friday will show employers added 191,000 jobs last month, down from 213,000 in June but easily enough to lower the unemployment rate over time. The jobless rate is projected to decline to 3.9 percent, near an 18-year low, from 4 percent. ANALYST'S PERSPECTIVE: "July's jobs data will be received with strong expectations brewing ahead of the release," Jingyi Pan of IG said in a commentary. "The leads for Asia are constructive and indeed we are seeing U.S. futures in the black this morning, aiding the recovery from yesterday's steep drop." TRADE: The White House escalated the trade conflict between the world's two biggest economic powers, saying it may impose a 25 percent tax on $200 billion in imports from China, to take effect after a hearing and public comment. That is up from a 10 percent tax it proposed in June. ENERGY: Benchmark U.S. crude picked up 10 cents to $69.06 a barrel in electronic trading on the New York Mercantile Exchange. It rose 1.9 percent to $68.96 a barrel in New York. Brent crude, used to price international oils, shed 1 cent to $74.44 per barrel. It gained 1.5 percent to $73.45 a barrel in London. 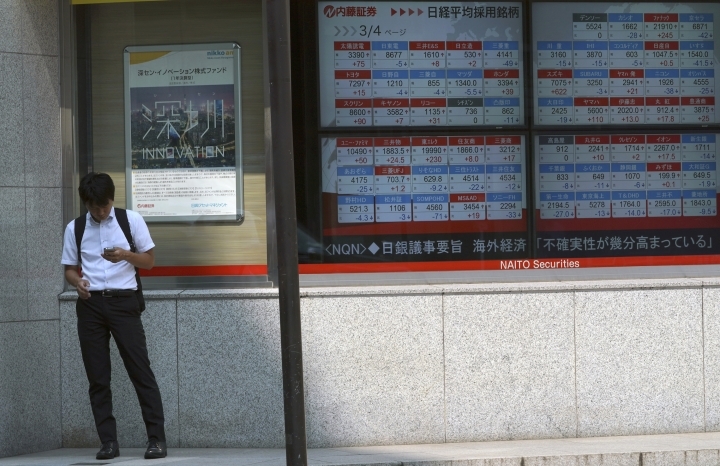 CURRENCIES: The dollar rose to 111.69 yen from 111.65 yen. The euro climbed to $1.1591 from $1.1587.